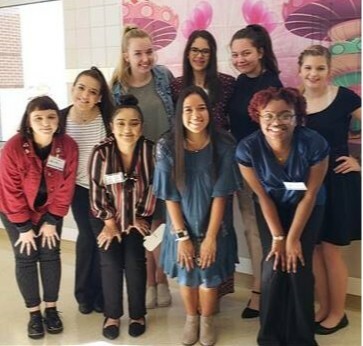 The Ben Barber TAFE (Texas Association of Future Educators) students competed at the Bill R. Johnson CTE center on Saturday. All 11 of our students advanced to the state TAFE competition in February. They competed in the following events: Teacher Created Materials, Interactive Bulletin Board, Impromptu Lesson, Breakout Session, and Project Visualize. We are so proud of these girls and got many comments from judges on the quality of their work. Emma Ely & Emily Holland are not present in this photo but advanced to state as well. TAFE Students from Mansfield High and Summit High advanced to state as well!